Learn How to Navigate Mortgage Rates with Fannie Mae /Freddie Mac, FHA, VA, USDA, Non-QM Loan Programs from Competitive Lending Sources Online. Buying a home in 2018 can be a challenge for many of us. There is a lot of paperwork and many parties involved. If you are a first-time buyer, you also may not have a lot of money for a down payment. But do not despair! The mortgage market in the US in 2018 has many options that can help you to get into your first home. And you can often get a home loan with a very competitive interest rate even if you have a lower credit score. Learn How to Shop Mortgage Rates with the Pros. Below are some of the most common types of loans, interest rates, and how you qualify. These are the two major government entities that back most conventional mortgages in the US. There are plenty of first time home buyer programs that are backed by Fannie and Freddie. You usually need to have a credit score around 640 to qualify, and your interest rate will depend upon your credit score. Current conventional rates for 30-year fixed mortgages are around 4.625%. Fannie Mae and Freddie Mac mortgages are the best choice for buyers with a 700 or higher credit score. 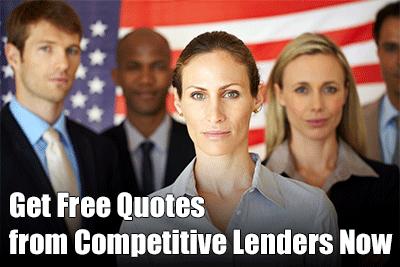 Those are the major types of home loan providers in the US today. Now here is information about the length of home loan you can get. This is the most popular home loan program for those with a lower credit score and down payment. With a 580 credit score, you can get a loan with a 3.5% down payment. FHA loans do not have any income limits, so you can have a high income and still qualify for an FHA loan. This loan is backed by FHA, so you can have a low credit score and still get a low interest rate. According to Zillow, as of September 2018, you can get an FHA mortgage that is 30 years fixed for only 4.625%. This is about the same as conventional rates. Sometimes the FHA rate will even be lower. FHA rates for 15 year fixed rate mortgages also are around 4.625%. A key aspect of FHA mortgages is that interest rates are not really dependent upon your credit profile. You can have a credit score in the low 600’s and still get a good interest rate. But if you have a credit score above 700, you should strongly consider a conventional loan program because those programs set interest rates based upon credit score. A USDA loan is for a buyer with a lower income and credit score who wants to live in a rural area. USDA loans are intended for rural properties. But there are some homes that are in suburbs near major US cities that may qualify for a USDA loan. Interest rates on USDA loans are comparable with FHA rates, and mortgage insurance is lower than with FHA loans. Also, USDA loans are one of the few left that are available with 100% financing. The VA home loan program is a special loan option for buyers who are in the US military or are retired US military. This is a 100% financing loan program, and you only need a 640 credit score to qualify, but some lenders may have less stringent requirements. VA home loans do not have mortgage insurance, and rates are lower than FHA. This is probably the best mortgage deal on the market, but only people with a military background qualify. The 30-year fixed rate mortgage is often a good choice for the person who wants to take less risk. Of course, if you do get a 30-year mortgage, you will pay a higher rate than a 15-year mortgage. A 15-year fixed mortgage has lower overall interest because you are paying a lower rate over fewer years, but your monthly payment is 40% or so higher. Right now, the interest rate for a 15-year fixed rate mortgage is 4.125%, while it is 4.625% for a 30 year mortgage. If you can afford the higher payment, getting a 15-year mortgage makes a lot of sense. An ARM mortgage can be a good choice for certain buyers. The most common ARMs are three, five and seven years. Then the rate can go higher or lower. There is more risk with these loans, but if you think you will not stay in your home for more than three or five years, they can be a good fit. In September 2018, a five-year ARM has a 4.5% rate and a three-year ARM has a 5.375% rate. Another option is the 10-year ARM with a current rate of 4%. Today’s mortgage market offers many options for people in various credit ranges. Talk to your lender today about the best option for you.